Interesting designed brooch from the time of Jugendstil in Germany. 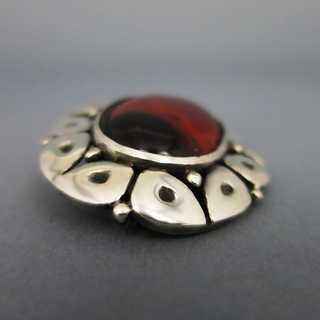 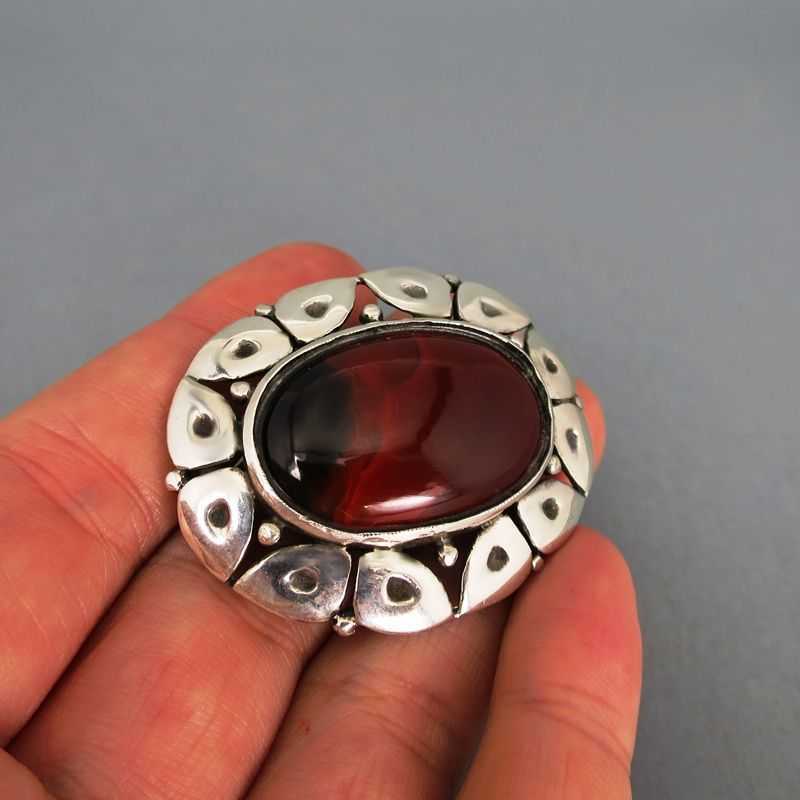 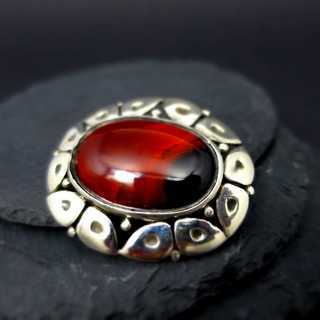 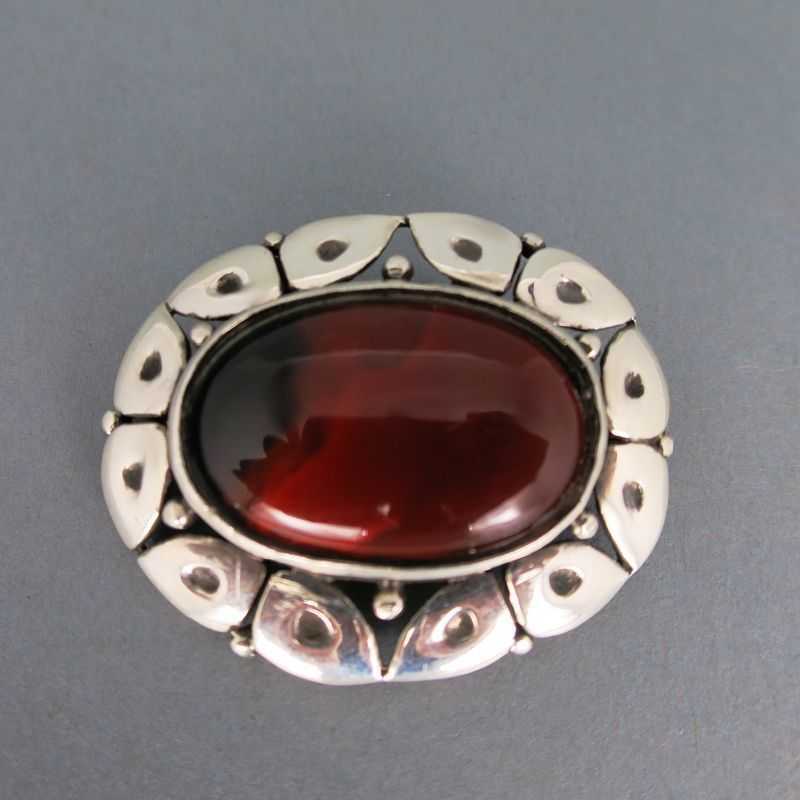 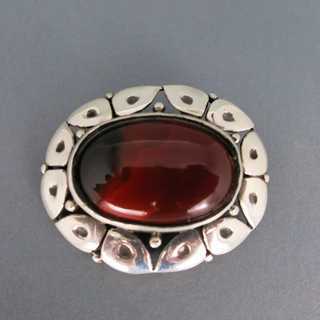 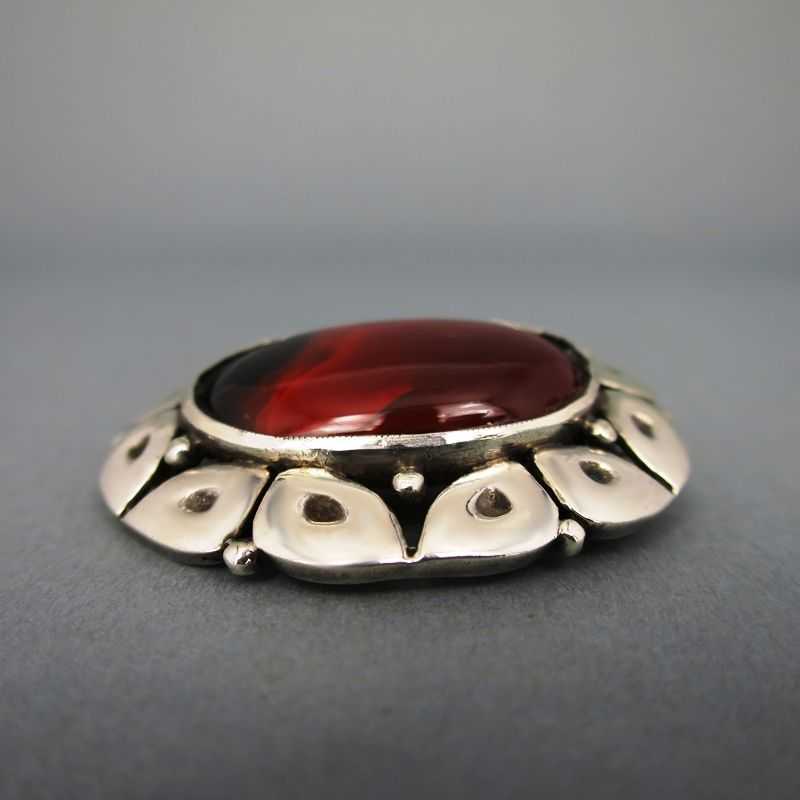 Oval shape, filled in the centre with an oval red-black agate cabochon. 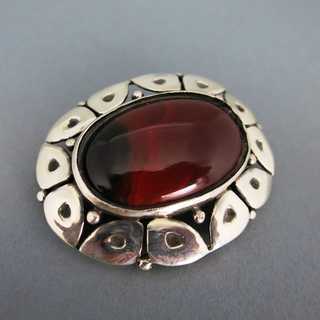 Surrounding frame composed from abstract petals or leaves and spheres. 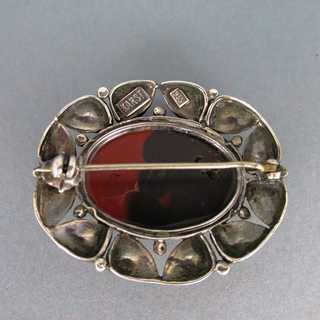 Back side open, with needle closure. 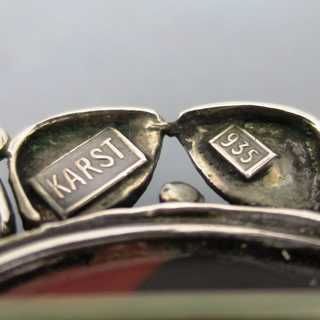 Marked, made in the famous jewelry manufactory of Karl Karst in Pforzheim /Germany, about 1910.